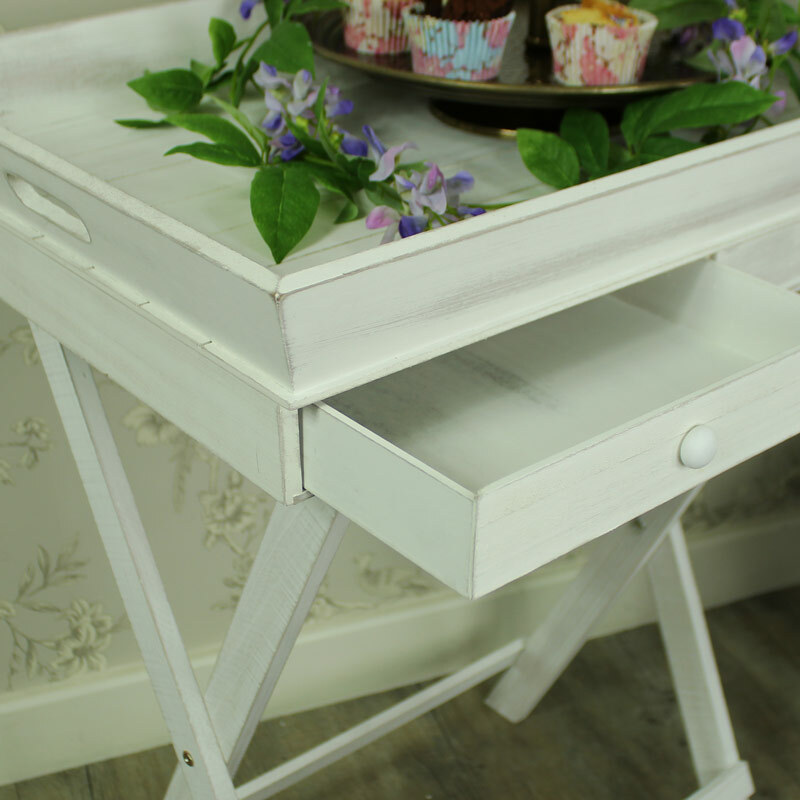 The two drawers are ideal for storing knives, forks and condiments. 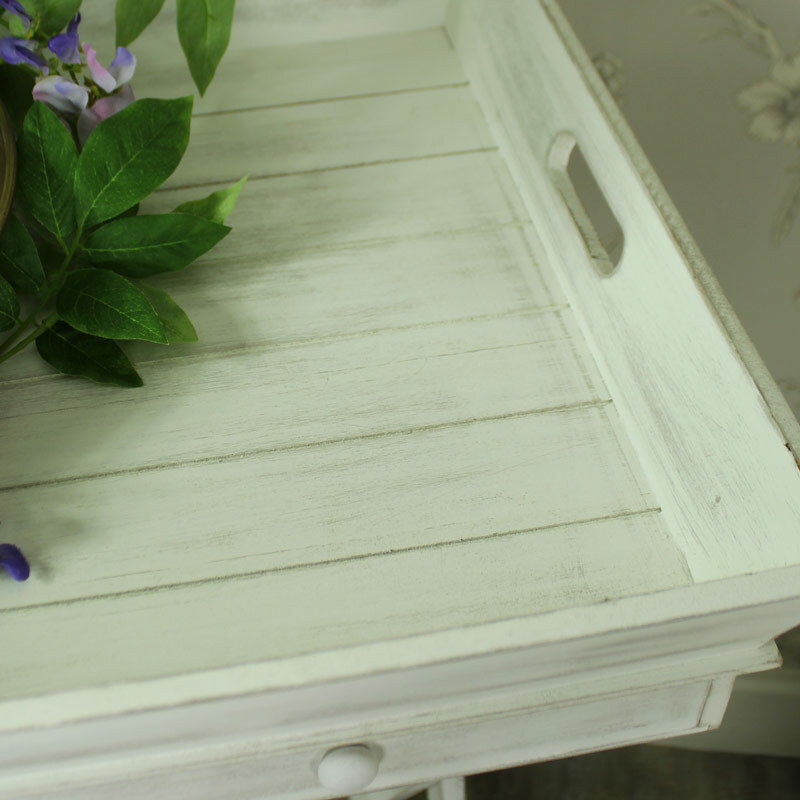 White painted large wooden butlers tray with storage drawers. 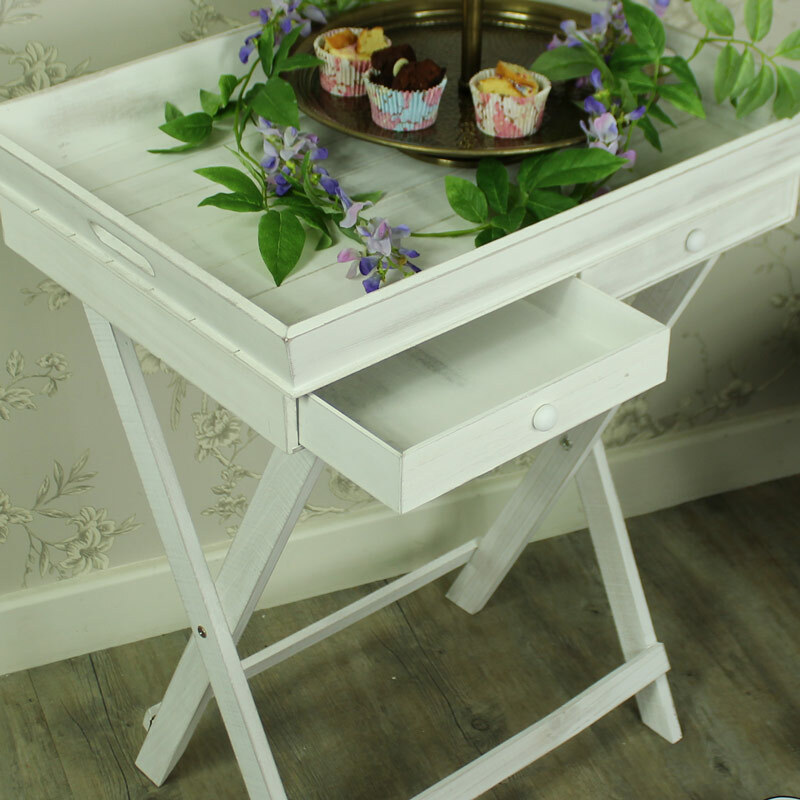 With a fold able stand and removable tray with handles this item is ideal for those homes that do not have the space for a dining table, a permanent side table. 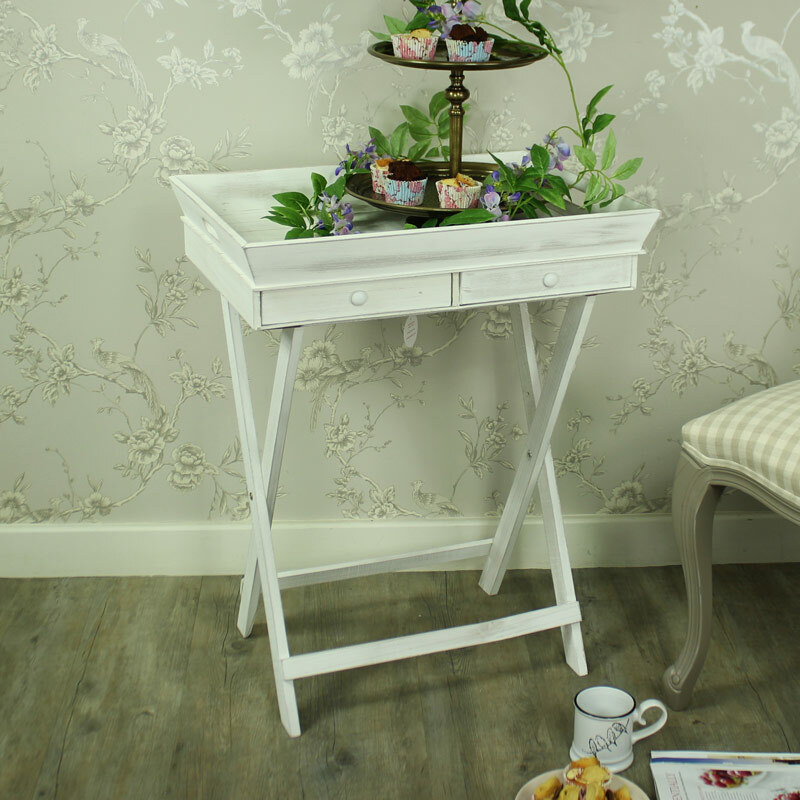 Perfect for afternoon tea.